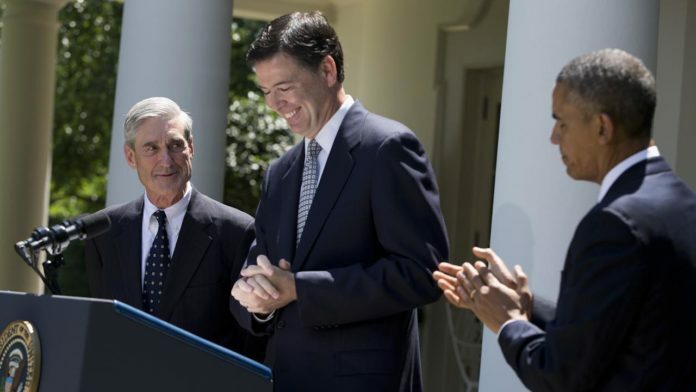 The FBI and DOJ have been caught redacting key documents that implicate Hillary Clinton and the DNC as co-conspirators in a plot to prevent Trump from becoming President. Yesterday, Rep. Devin Nunes, Chairman of the House Intelligence Committee, joined Maria Bartiromo on Sunday Morning Features to discuss the latest developments in the investigation of the ‘Deep State’ spying on the Trump campaign. Thegatewaypundit.com reports: The liberal media has completely ignored the shocking revelation that the Obama administration and top officials at the DOJ were spying on Donald Trump during the campaign and after he was sworn into office.